PRICE REDUCTION! Welcome to Verona Reserve. 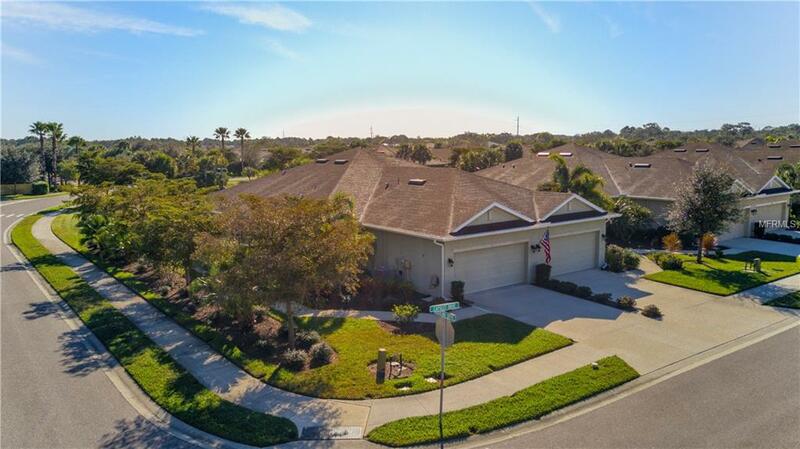 This beautiful gated community of villas is tucked away off of Jacaranda road, just 5 minutes from I75, 12 minutes to Venice Beach and a short 25 minutes from Sarasota. A MUST SEE, as soon as you walk in the front door of this "like new" villa you will notice the owners have taken pride of ownership. Situated with lake views, framed by beautiful plantation shutters, from both the side windows and the back screened in patio, this is one of the only villas to have a walkway to the front door that is not shared with another villa. This offers privacy as you walk in and out of your front door. With gorgeous ceramic tile in the main living areas, the kitchen is equipped with stainless steel appliances and high quality wood cabinets. The master closet has been upgraded to feature professionally installed high end shelves, drawers and cloths hanging areas. A two bedroom two bath, this villa also has a den that can be used as a third bedroom for additional guest sleeping. No walking through the laundry room to gain access to the home when coming from your large two car garage. This villa boasts a separate laundry room. Far enough away from the beautiful community pool to not be bothered by anyone, it's a short walk away when going for a morning or afternoon swim. This ultra low HOA fee includes all community amenities, all grounds maintenance, painting, roof and all exterior care. This beautiful villa is one of the best values on Florida's "Best" Coast. Come see why!